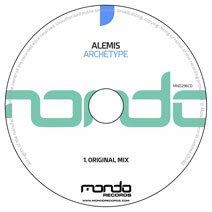 Rising star Alemis returns to Mondo Records with his brand new single 'Archetype'. After making previous outings on the label as part of our much loved Future Heroes series, Alemis delivers his single debut in style. 'Archetype' is a progressive journey with all those essential ingredients of a classic record in the making. From the big, raucous bass and plucky melody to the feel good energy and warm vibe, 'Archetype' delivers in a very big way.